Gurmukh Singh is a father of 2 US citizen children, a torture survivor, and a outstanding community member who could be deported to India, where he fears for his life. Gurmukh fled India over 15 years ago to escape persecution for being of the Sikh faith. He was involved in a peaceful movement for the Sikh minority in India, and due to his organizing he was kidnapped and tortured twice. He decided to flee India after members of his family went missing. Deportation would mean political persecution and possible death for his involvement in Sikh organizing. Unfortunately, due to ineffective counsel his application for asylum was denied, as was his appeal. Unaware of the denial and the final order of removal, he attempted to fix his immigration status by petitioning through his wife. When he showed up for the immigration interview, he was arrested by immigration agents, and was in detention for over 5 months. Although he is now free, he continues fighting his deportation. Please sign below to support. I am writing in support of Gurmukh Singh A# 077-432-044. Mr. Singh is a father of 2 US citizen children, has no criminal record, and is and a outstanding community member with overwhelming support. In addition, Mr. Singh is being deported to India, where he fears for his life. Please use prosecutorial discretion to close his case and stop his deportation. Mr. Singh was placed in deportation proceedings after he sought asylum in the United States, based on being kidnapped and tortured due to his Sikh faith. According to him and his wife, the attorney he hired did not represent them well, and his asylum claim was denied. Mr. Singh appealed the decision, and when his appeal was denied, his attorney did not notify him that he had been ordered deported. Years later, unaware of the final order of removal, he attempted to fix his immigration status by petitioning through his wife. When he showed up for the immigration interview, he was arrested by immigration agents, and has been in detention ever since. Although there are negative factors to take into consideration, they are outweighed by the positive factors associated with Mr. Singh’s case. Mr. Singh has two U.S. citizen children who are minors, 11 and 14 years old. On Friday, August 23 Acting Director of ICE, John Sandweg, issued the directive Facilitating Parental Interests in the Course of Civil Immigration Enforcement Activities. According to this directive, special consideration should be made in the placement, detention, and deportation of immigrants who are primary caretakers of minor children. As a father, Ms. Gonzalez should be given this special consideration. In addition, Mr. Singh’s wife has been diagnosed with type 2 diabetes, and has developed depression. Her illness and his detention have affected their daughters, who have not been able to focus in school, and went from being straight A students to barely passing. 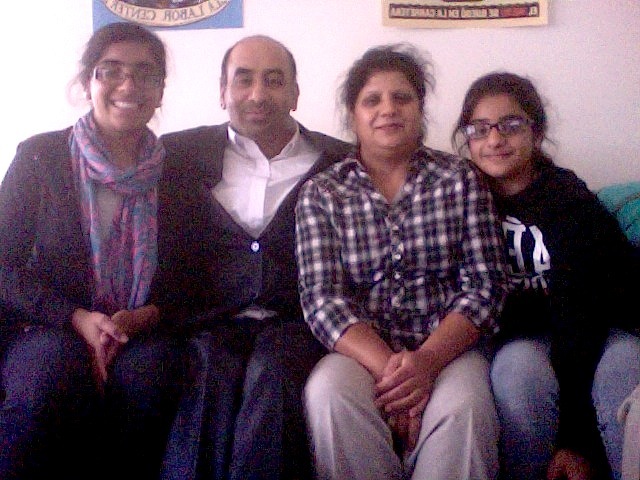 Mr. Singh has no previous criminal record and is a loving family man and active community member. He is also is the caregiver for his elderly parents and volunteers in his temple. His release in early October should be a sign that he is not considered a flight risk or a danger to the public. Mr. Singh fled India over 15 years ago and came to the United States to escape persecution for being of the Sikh faith. Because his beliefs and involvement in this movement Mr. Singh was kidnapped and tortured twice, once he heard the police were going to his house so he decided to flee India and since members of his family have gone missing. Mr. Singh cannot go back to India he faces possible death for his involvement. Please consider using prosecutorial discretion to close his case. Free Norma Parra Montiel: Hard-Working Grandma Arrested for Working! Free Edgar and Erick Ochoa, DACA-eligible Brothers!